Sisters of St Joseph – 1970-? 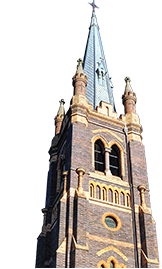 Dr Torreggianni, Bishop of Armidale, requested that the Sisters of Mercy take over the primary school in Narrabri from the Sisters of St Joseph who had founded it in 1885. Although there were only four professed Sisters in the Gunnedah community, two went to Narrabri in January 1889. The Sisters maintained the primary school at Narrabri West to which the two Sisters travelled daily by train in the earlier days. In 1929 the enrolment was 160 in the primary school in town, 30 students in the high school and 80 students in the Narrabri West school.